In the early hours of Sunday morning, via a statement posted on former Black Flag singer Henry Rollins' website, the family of Suicide frontman Alan Vega announced the sad news of his passing: "With profound sadness and a stillness that only news like this can bring, we regret to inform you that the great artist and creative force, Alan Vega has passed away." Describing him as "the quintessential artist on every imaginable level," the post highlights Vega's unwavering commitment to his art and the importance of his contribution – both alone and with Suicide collaborator Martin Rev – to shaping the trajectory of music from the 70s onwards. "Alan was not only relentlessly creative, writing music and painting until the end, he was also startlingly unique. Along with Martin Rev, in the early 1970’s, they formed the two person avant band known as Suicide. Almost immediately, their incredible and unclassifiable music went against every possible grain. Their confrontational live performances, light-years before Punk Rock, are the stuff of legend. Their first, self-titled album is one of the single most challenging and noteworthy achievements in American music. 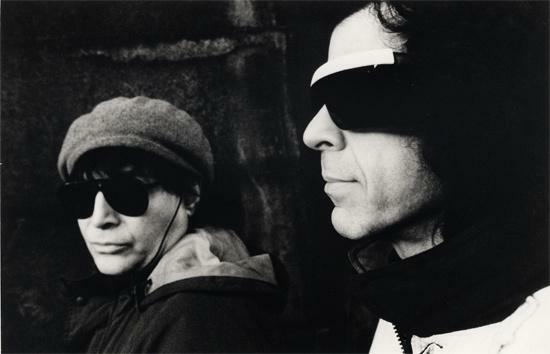 "One of the greatest aspects of Alan Vega was his unflinching adherence to the demands of his art. He only did what he wanted. Simply put, he lived to create. After decades of constant output, the world seemed to catch up with Alan and he was acknowledged as the groundbreaking creative individual he had been from the very start. "Alan’s life is a lesson of what it is to truly live for art. The work, the incredible amount of time required, the courage to keep seeing it and the strength to bring it forth—this was Alan Vega." Recurring in innumerable Quietus Baker's Dozen articles over the years, Suicide's self-titled 1977 debut was more than just a statement or a passive harbinger of the shape of music to come, but instrumental in moulding the future of its form.